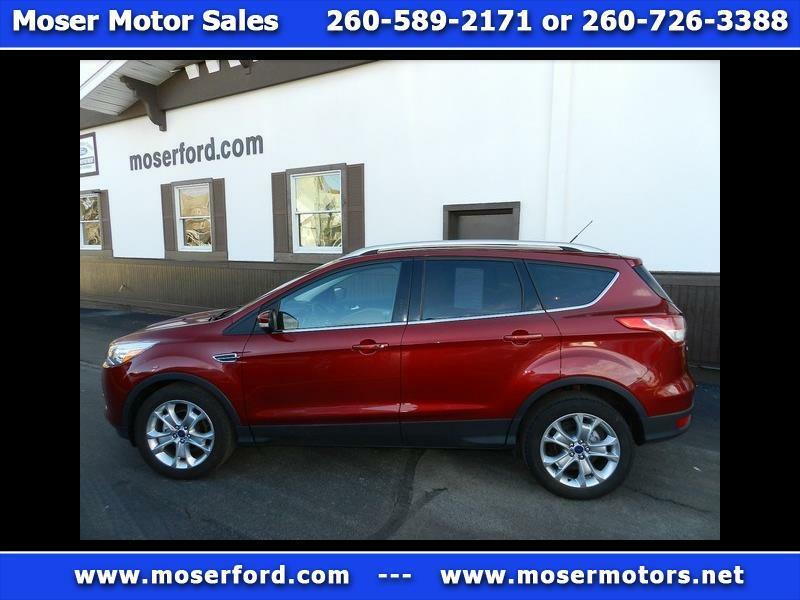 This 2016 Ford Escape is a Front Wheel Drive with TITANIUM Trim Level and LEATHER. Turbo Powered. Smartly equipped with Technology Package, ACTIVE PARK ASSIST - take your hands off the wheel and let the vehicle parallel park for you, Remote Start - pre-cool the interior before you step outside, SONY SOUND, Sync 3, Hands-Free Liftgate, Ambient Lighting, Satellite Radio, CD-MP3 Player, Keyless Door Entry, and Remote Entry. Also equipped for your safety with Blind Spot Detection System, HID Automatic Headlamps, Driver's Knee Airbag, Side Airbags/Curtains, Advance Trac with Roll Stability Control, and Homelink. Equipment Group 301A. Give us a call at 260-589-2171. Remaining Factory Warranty. Extended Warranty Eligible.